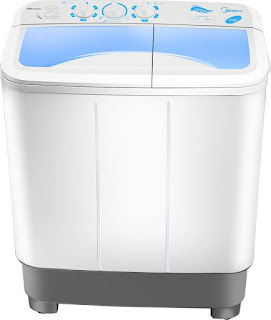 This 6.5 kg washing machine has maximum spin speed of 1350 rpm. Higher Spin speed reduces drying time. 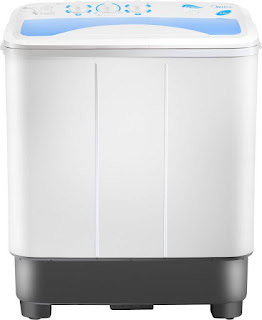 Midea MWMSA065A02 6.5 kg washing machine is available in elegant blue and white colour tone. 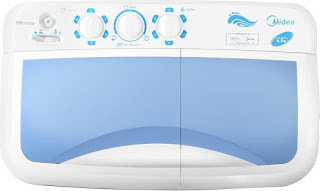 Unique AQUA crest pulsator is used for best wash quality. Electricity Consumption is 340 watts. Spin drum capacity is 4.6 kg. Rust free plastic (Polypropylene) is used. Washing cycle timing is 15 min while spin cycle duration is 5 min. It comes with wheel support. Water heater and digital display are not available. 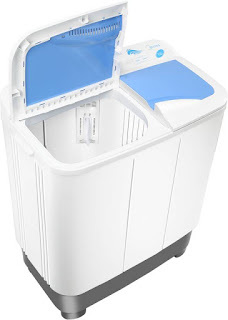 2 years standard warranty by Midea. Two Wash programs (NORMAL and HEAVY) are provided. Direct water connection not needed.